We have once heard this saying – When life gives you lemons, make lemonade – and that’s what we do several times during the hot summer period. 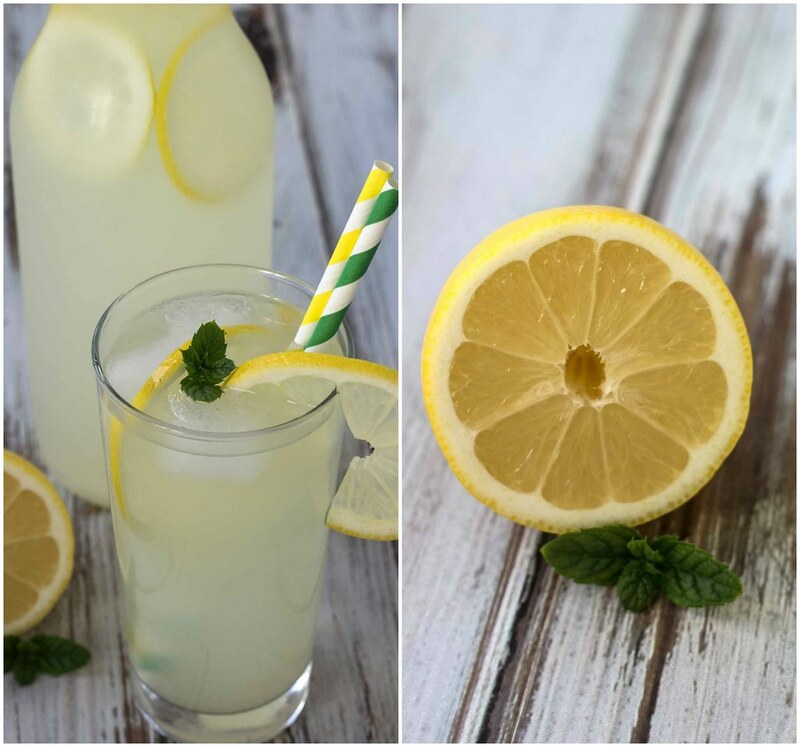 This recipe for homemade lemonade is simple to make and it’s very refreshing and delicious. You only need three ingredients to make this drink and it only takes about 20-30 minutes. 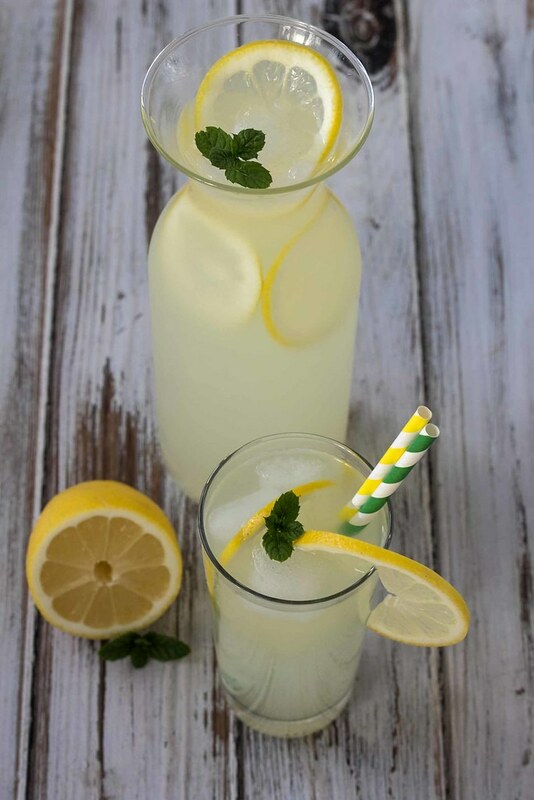 We normally makes this lemonade when the summer is at its highest and the thermometer shows +25 C (+80 F) – at this time this lemonade with ice cubes is very refreshing and cooling. 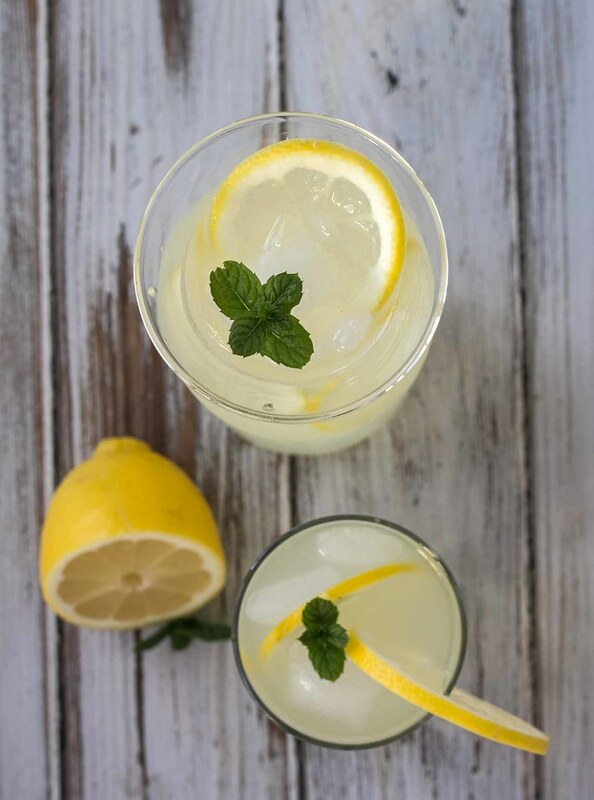 This recipe for lemonade has a relatively sour taste, however, you can always leave out some of the lemon juice and add a little extra sugar – that’s totally up to you and you preferences. 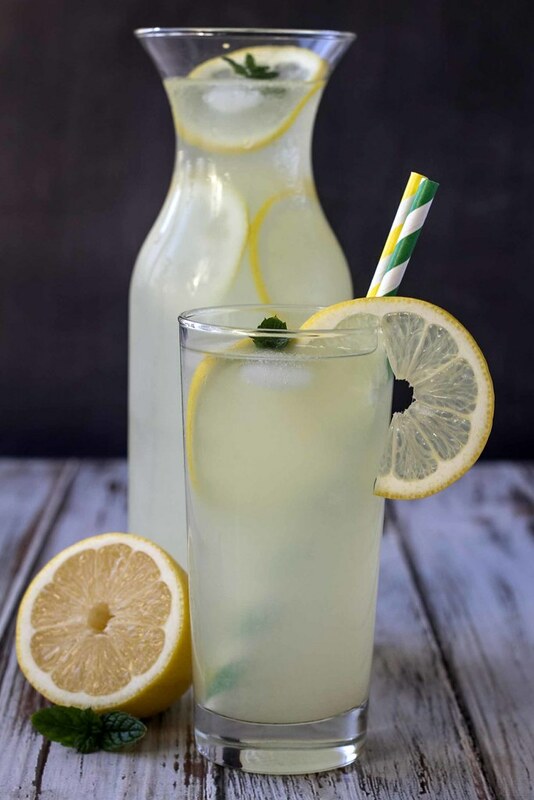 Personally we love the lemonade a bit sour which gives an extra level of freshness to the drink. There is really not much to say about this drink – it’s simple to make and very delicious – we absolutely recommend to try it. Step 1: Pour the sugar and 1 dl (1/2 cup) of water in a sauce pan, heat it to boiling and wait until all the sugar has dissolved. Step 2: Press all the juice out of the lemons. Step 3: Mix the sugar syrup and the lemon juice together. Step 4: Before serving, mix the concentrated lemon/sugar juice with about 1.5 liter (0.4 gal) of water. 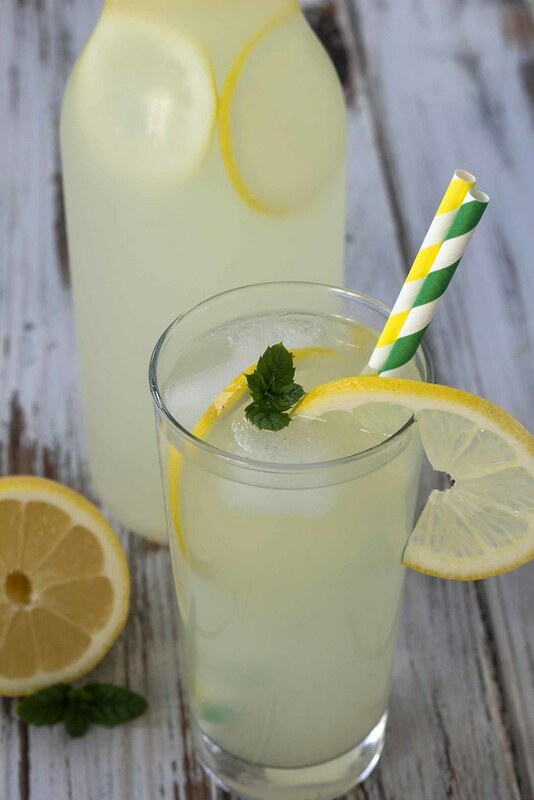 Mix it all in a large pitcher, decorate it with lemon slices and fresh mint and serve with lots of ice cubes.